Nisichawayasi Nehetho Culture and Education Authority Inc is a First Nation school division with an elected Board of Trustees. 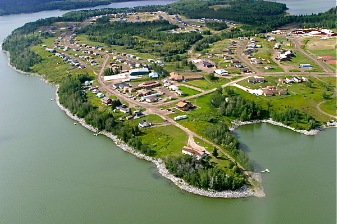 It is located in Nelson House, Manitoba, on the Nisichawayasihk Cree Nation Reserve. Nelson House is accessible by Highway 34, also known as "The Tom Cochrane: Life is a Highway"
Mamawe Hopikihowasotan is pronounced (ma ma wae (h)ope-key how (a) sotan). It means, "together we raise our children". • Post-secondary Support Team (Administers scholarship and student assistance funds).